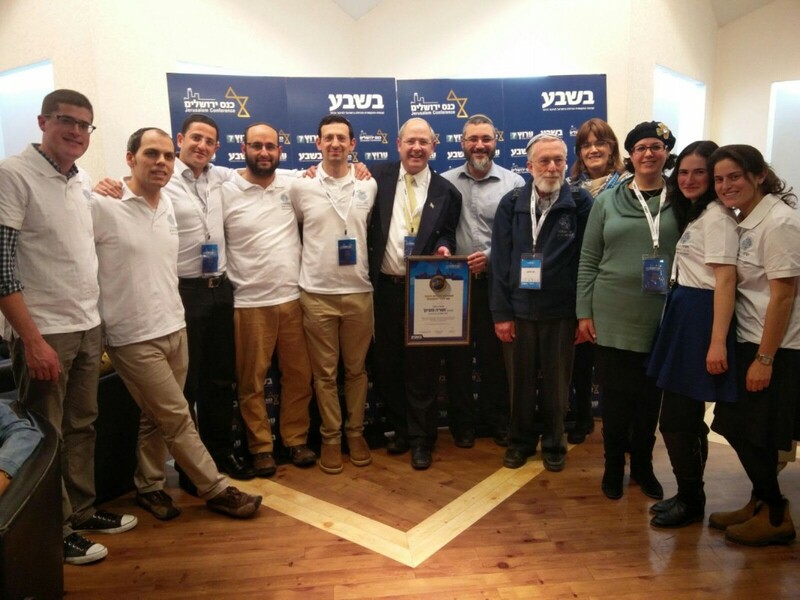 Click here to see Torah Mitzion recieving the prize at the Jerusalem Conference! We are pleased and proud to announce that this year, our 20th anniversary, Torah MiTzion has received the prestigious 5776 Jerusalem Prize! We were honored to receive the award, during the 13th Jerusalem Conference, presented by the Minister of Education, Naftali Bennett. 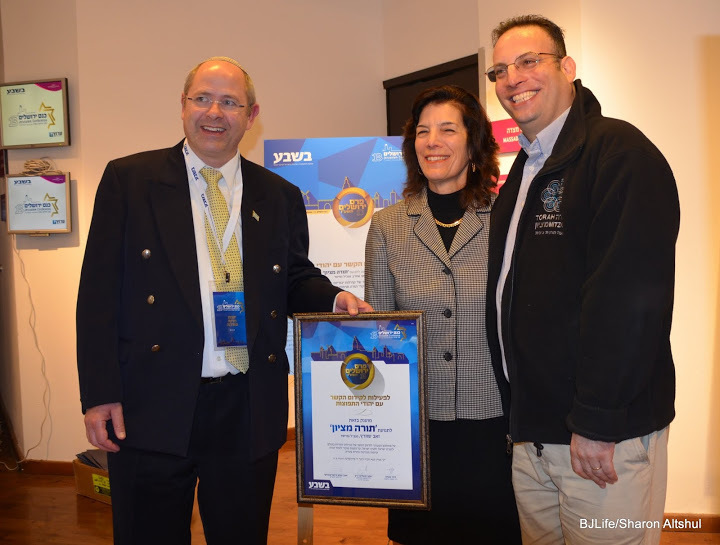 “For her inspiring work strengthening ties between Jewish communities abroad with the Torah of Israel and the Land of Israel, and for the establishment of centers of Torah and empowering young leadership”. 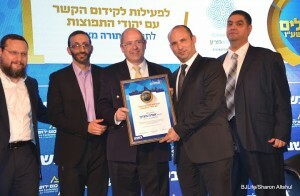 Rabbi Yitzchak Neriya, our Chairman and Zeev Schwartz, Executive Director, accepted the award on behalf of the organization. Marsha Roth and David Roth, supporters of Torah MiTzion since its inception, were also in attendance.